Join strut channel sections with compatible brackets, connectors, and fasteners to build a custom metal framing structure for your application. 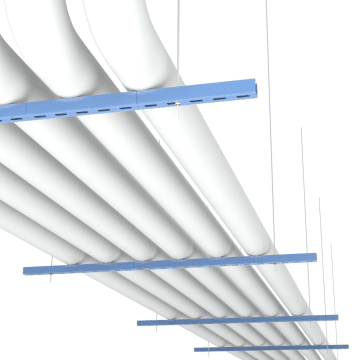 Strut channel structures are commonly used in buildings to support lightweight structural loads such as wiring, plumbing, or HVAC equipment. 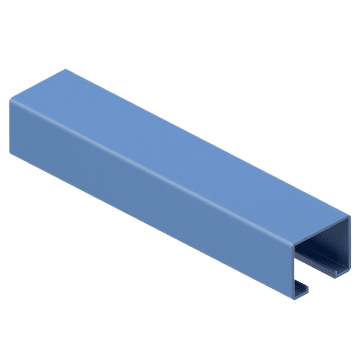 These strut channels have slots along their length for attaching connectors, brackets, and fasteners to the channel without drilling or welding. 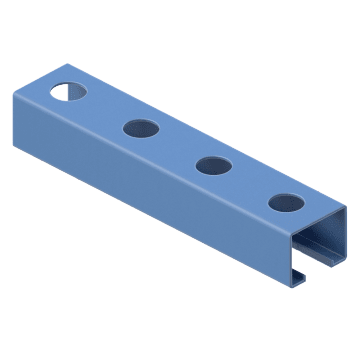 The slots provide more flexibility when aligning and attaching items to the channel than would be possible with channels that have prepunched holes. 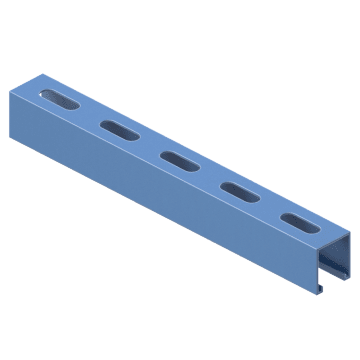 Use the prepunched holes along the length of these strut channels to attach connectors, brackets, and fasteners to the strut channel without drilling or welding. The holes provide more precise alignment than would be possible with slotted strut channel. Customize your strut channels to suit your application with these solid channels. Drill holes in the channel where you want to attach connectors, brackets, or other fasteners, or weld components to the strut.